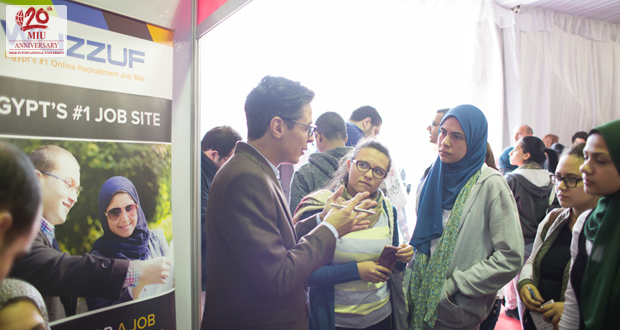 Misr International University’s 16th Employment Fair was held on March 11th, 2017 as part of the university’s endeavor to provide its students with guidance and opportunities to put them on the right path to their career goals. The employment fair was held on MIU campus in the cooperation of MIU’s Alumni and Public Relations offices. 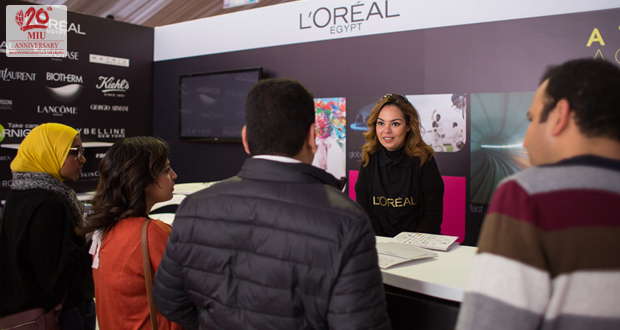 It hosted more than 51 multinational and local companies. 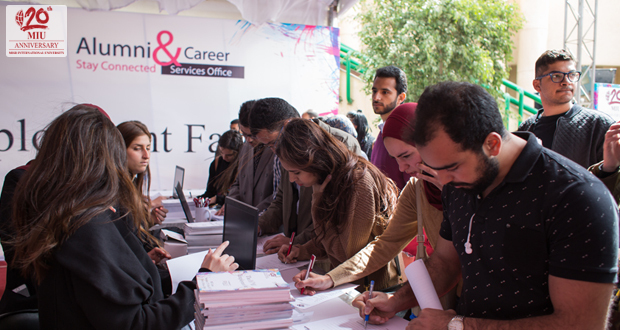 More than 1,600 MIU graduates were invited to submit their resumes and meet potential employers.